The Snow Birds Are Right: Migrating to Florida is pretty awesome. The snow birds are right. Migrating to Florida is nice. While it’s been a little chilly in Florida by Southern standards, I can tell you one thing: I don’t miss snow. At all. The fall here in Florida in these past few days have been very similar to the winters I grew up with in the Southeast of Brazil: pretty cold, but not cold enough to warrant a parka and tuque (though some Floridians would beg to differ—both about the need for these items, as well as about what the latter should be called). Before these last two or so days, it was actually pretty warm in this area of Florida—warm enough to enjoy dips in the Atlantic Ocean at Jetty Park Beach, Port Canaveral. I had so much fun here, I didn’t want to leave. A beautiful blue sky, featuring clouds as fluffy as cotton candy, is the background for the giant ship to make its entrance. Or rather, its departure from port. 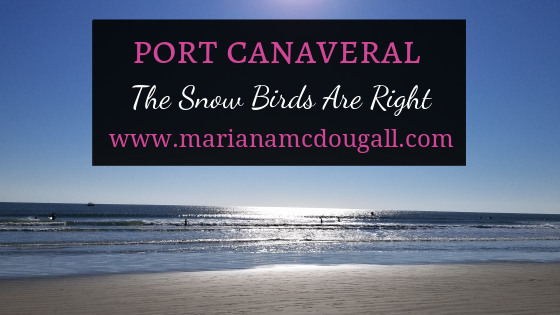 The party atmosphere enthralls onlookers, who sometimes come to Port Canaveral simply to watch the ships that arrive and leave. To be sure, they are majestic vessels. I’ve never really wanted to go on a cruise, but then again, I never wanted to go to Disney World, either. Sometimes we don’t know what we want until we have it. Which is a good thing, I suppose. Sitting here looking at these ships, you start to wonder if you’d like to join the party sometime. Disney cruises in particular are supposed to be amazing for families. But the costs are sky-high. For now, I content myself with just observing. Some of the ships are obnoxiously loud about their arrival or departure, but other crews know that simply seeing the giant ships commands enough admiration. The Disney Cruise ship belongs to the latter category. The gigantic size of the ship is enough to leave you breathless, and the day for it to leave this port couldn’t have been more gorgeous. As the vessel slowly makes its way out, a giant Mickey Mouse stuffy is seen perched on its stern. As our time at Jetty Park Campground continues, we see more and more of these magnificent ships. One of the perks of working early in the morning is that it’s still dark when my work day begins, and I get to see the lit-up cruise ships coming into port in the dark. While a small phone camera couldn’t do the scene justice, I’ll always have that memory ingrained in my mind. But watching these wonderful vessels isn’t the only draw at Port Canaveral. The beach is pretty nice, too. The waves are big enough for a lot of fun, and small enough to be safe for the children, but M-girl will have none of it. She’s quite happy collecting shells, thank you very much. The waves seems to scare her. Apparently, there are land mermaids. The little girl is obsessed with everything mermaid, and often says she wants to be one, but the ocean seems to instill a fear that she never had when she was near pools or at the lake. Perhaps it’s a good thing. She won’t go in the water with us, so she won’t go in without us. We take care to always be extremely observant with (and near) the kids, and to remind them that this isn’t Lake Ontario. Waves can pull you under, so never swim away from us. They listen, and with our watchful eyes as well as the lifeguard’s, we feel safe and happy here. The sand is beautiful, the smell of salt water divine. Shell collecting becomes the girls’ favourite thing to do together, and boogie boarding is a favourite with everyone but M-girl. I couldn’t resist, and purchased 4 boogie boards at the shop. The adults wouldn’t use one at the same time, so we’re happy to share ours. M-girls’ remains unused. We enjoy ourselves fully at Jetty Park beach, and what was supposed to be one night turns into three at the campground. The campground has only a few spaces left, but the space we get has a great view of both the ocean and the playground, so we’re happy. We’ll stay ’till Thanksgiving day, when we’ll need to leave the campsite, but can still spend the day at the park and beach. There’s plenty of parking very near the water, and we’ll be able to have our second Thanksgiving dinner before leaving Port Canaveral. Until then, we enjoy the location as much as we can, and I’m thankful for being a freelancer and having the freedom to choose my own hours. 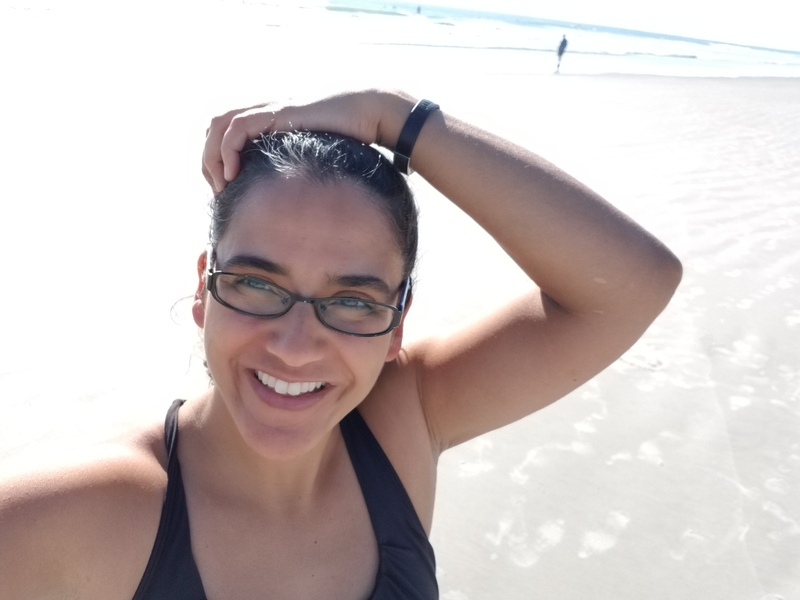 I’m able to meet all my deadlines while still enjoying the sunshine on my face, the ocean at my feet, and my people by my side. I’d recommend this spot for anyone who just wants to relax by the beach and enjoy the sunshine (what else could you want?). It’s a great space for kids, and it’s clear that the spot is well cared for. With so many naysayers around, sometimes it’s hard to embrace your identity as a creative entrepreneur, even when you’re living your dream in part because of that entrepreneurial spirit. But I’m getting there. I’m getting to the point where saying “I’m a multi-niche freelance writer” is a source of pride rather than a source of anxiety about what the follow-up questions will be. After all, my writing and editing is part of the reason we were confident hitting the road for a year in the first place. 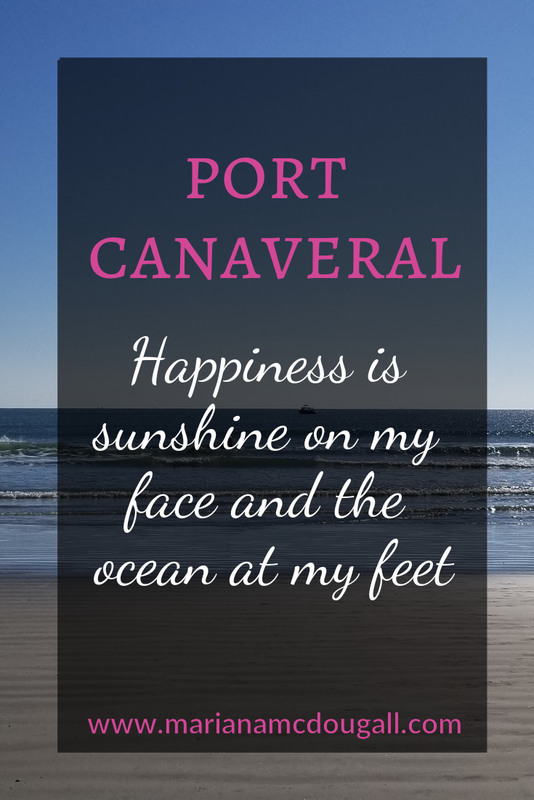 During our three days at Port Canaveral, I worked both at the camp store as well as the RV, and still had plenty of time to enjoy the gorgeous sunshine on the beach. I even had a little time to do some real swimming on my own (thanks Dan!). The camp store sells souvenirs and practical items, and has some tables and chairs in the back, as well as a TV and couches. A bookshelf stands in one corner, displaying some books and movies. On the opposite corner is a table with coffee that is served for free throughout the day. You can also find several pamphlets about area attractions at the camp store. Another great facility at Jetty Park is the playground, which the children enjoy fully. The equipment is strong and well-maintained, and the children play and make the acquaintance of other campers. We meet two families whose only residence is their RVs, and their stories are inspiring. One family works campgrounds during the summer, and then travels in warmer climates all through the winter. Another family works from their RV. Both homeschool their children, and both have children with learning differences, just like we do. We have so much in common. We’ve made friends, had an amazing time at the beach, and we’ve enjoyed ourselves fully. Leaving Port Canaveral is hard. I would love to find a way to come back to this campground (and Disney World) regularly after this trip is over. I could spend days on end here and never get sick of this view. Leaving Port Canaveral is not easy. The clean beaches, the friendly staff, the no-fuss campground, the waves that were just right… Everything a sea-lover craves; everything a beach rat wants. That’s not an easy scenario to say goodbye to, but having my people by my side at every step of what will come next makes the parting easier. I had such a wonderful time here. But there is also a lot more we want to see, so we continue on our journey. Stay tuned for our post about Daytona Beach. Thanks for the beautiful recounting of your travels. I’m not keeping up with everything as I keep up with myself, but I so enjoy your posts and communications as I catch them here and there. Bless you, Mariana. Thanks for reading the post, Terry Ann!